Dr. Rogawski is professor of neurology and pharmacology and a member of the UC Davis Center for Neuroscience. He is director of the Institute for Neurotherapeutics, associate director of the UC Davis CounterACT Center of Excellence, and principal investigator of the University of California Drug Discovery Consortium. He teaches in the UC Davis School of Medicine and is on the active medical staff of UC Davis Health. Following a successful planning meeting in Yosemite National Park, March 4-8, 2019, the creation of the Fifth Edition of Jasper's Basic Mechanisms of the Epilepsies, often called the "bible of basic epilepsy research," is in progress. ​Dr. Rogawski was an invited speaker in the session on Targeted Therapy at the 13th European Congress on Epileptology, Vienna, Austria, August 28, 2018. The topic of his presentation was "Targeting Novel Receptors." 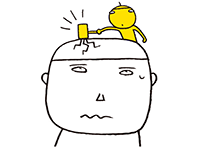 Are Migraine and Seizure Related? Answers by Michael Rogawski in BrainFacts.org, a public information initiative of the Society for Neuroscience. Published August 2, 2018. 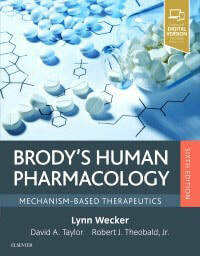 Michael A. Rogawski in Brody's Human Pharmacology: Mechanism-Based Therapeutics, 6th Edition edited by Lynn Wecker. Published by Elsevier, 2019. Dr. Rogawski quoted in Proceedings of the National Academy of Sciences Journal Club (June 28, 2018) in reference to the publication: Olson CA, Vuong HE, Yano JM, Liang QY, Nusbaum DJ, Hsiao EY. The gut microbiota mediates the anti-seizure effects of the ketogenic diet. Cell 2018;173:1728-1741. Dr. Rogawski was an invited speaker at the Epilepsy Foundation's Research Roundtable for Epilepsy: Evolving Concepts in Endpoints and Populations in Epilepsy Trials, which was held at the American Institute of Architects, Washington, DC, May 17-18, 2018. The topic of his presentation was "Anti-ictal Versus Mechanism Targeted Therapies." 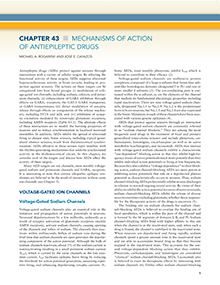 Roger J. Porter and Michael A. Rogawski in Basic and Clinical Pharmacology, 14th Edition, edited by Bertram G. Katzung and‎ Anthony J. Trevor. Published by McGraw-Hill Education, 2018. Dr. Rogawski is principal investigator of the UC DCC, funded by a UC Multicampus Research Programs and Initiatives grant from the University of California Office of the President. 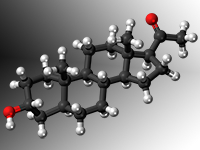 UC DCC provides access to drug discovery resources throughout the campuses of the University of California. UC DCC sponsors a grant program; information is available here. Dr. Rogawski was a member of the faculty of the workshop on Refractory Status Epilepticus: Mechanisms and Management at the 141st Annual Meeting of the American Neurological Association, Baltimore Marriott Waterfront Hotel, September 18, 2016. Dr. Rogawski spoke on "Allopregnanolone Potential in the Treatment of Refractory and Super-refractory Status Epilepticus," in the session on Novel Therapies for Status Epilepticus at the 12th European Congress on Epileptology, Forum Hall, Prague Congress Centre, Kongresové centrum Praha, September 13, 2016. 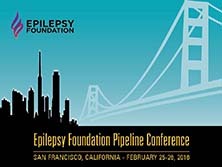 Dr. Rogawski was an invited speaker at the 2016 Epilepsy Foundation Pipeline Conference in San Francisco, February 25-26, 2016. Dr. Rogawski was an invited speaker at the 9th Annual Pain and Migraine Summit in Washington, DC., September 24-25, 2015. Dr. Rogawski participated in the Ion Channel Symposium at Institute of Neuroscience, Zhejiang University, June 24, 2015. Dr. Rogawski is the recipient of the American Academy of Neurology 2015 Neuroendocrine Research Award sponsored by the AAN and supported by friends of Dr. Andrew Herzog. 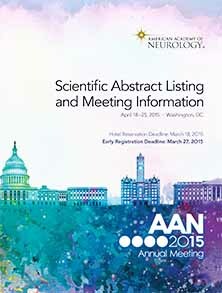 The award was presented at the AAN 2015 Annual Meeting in Washington, D.C, April 18-25, 2015. UC DAVIS MEDICINE, Volume 12, No. 1, Spring 2015, highlights spin-offs of Dr. Rogawski's research. Dr. Rogawski has been appointed to the SIT (Science Innovation Team of International Scientific Experts) of EpLink, the Epilepsy Research Program of the Ontario Brain Institute, and he presented the keynote address at the 2015 EpLink Workshop on February 28, 2015 in Toronto. Dr. Rogawski spoke at the University of Utah's ADD (Antiepileptic Drug Development) Program Symposium, Park City, Utah, May 17–20, 2015. Dr. Rogawski spoke at Antiepileptic Drug and Device Trials XIII sponsored by The Epilepsy Study Consortium in collaboration with the University of Pennsylvania Epilepsy Center and The Epilepsy Therapy Project, May 13–15, 2015, Turnberry Isle Miami, Aventura (North Miami Beach), Florida. Dr. Rogawski spoke at the 5th London-Innsbruck Colloquium on Status Epilepticus and Acute Seizures, April 9–11, 2015, Imperial College, London. Dr. Rogawski spoke at the Institute of Medicine's Forum on Neuroscience and Nervous System Disorders, Forum on Drug Discovery, Development, and Translation, January 20–21, 2015, Keck Center of the National Academies, Washington, D.C. A summary of the workshop is available here. 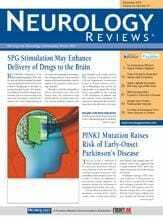 Annals of Neurology 76(6):911–915, 2014. 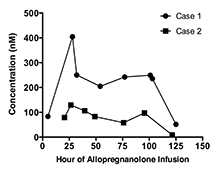 Allopregnanolone intravenous solution developed and manufactured at UC Davis Medical Center effectively treated two children with super-refractory status epilepticus, a life-threatening condition with high mortality and morbidity. One of the children, a 2 year-old girl, was a patient at the UC Davis Children's Hospital. Some publications on neuroactive steroids and the treatment of status epilepticus are available here. Michael A. Rogawski and José Cavazos in Wyllie’s Treatment of Epilepsy, Sixth edition, edited by Elaine Wyllie, Barry E. Gidal, Howard P. Goodkin, Joseph I. Sirven, and Tobias Loddenkemper. Published by Wolters Kluwer, 2015. Dr. Rogawski spoke at the Twelfth Eilat Conference on New Antiepileptic Drugs (EILAT XII), Madrid Spain, August 31 – September 3, 2014. 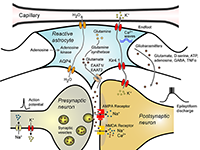 Research from the Rogawski laboratory led to two out of five drug products currently under development for the treatment of epilepsy. 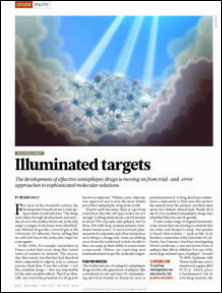 See discussion by Megan Culley in Drug development: Illuminated targets. Nature 2014 Jul 10;511(7508):S12–13. 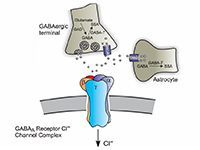 Research from the Rogawski laboratory laid the groundwork for the first AMPA receptor antagonist available for clinical use. 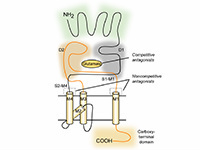 Some publications on AMPA receptors and the development of AMPA receptor antagonists for the treatment of epilepsy are available here. Chen CY, Matt L, Hell JW, Rogawski MA. 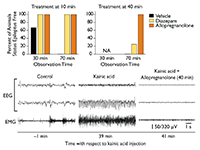 Perampanel inhibition of AMPA receptor currents in cultured hippocampal neurons. PLoS One. 2014 Sep 17;9(9):e108021. doi: 10.1371/journal.pone.0108021. The goal of our work is to discover and develop improved treatments for neurological disorders, including epilepsy, migraine, traumatic brain injury and neurobehavioral disorders. Click on images to access further information or representative publications.